Elwood, In., October 2, 2017 – This October, Red Gold is making it easy for people to give back when sharing their family meal. For any Red Gold canned tomato product purchased throughout the month, Red Gold will donate one meal* to help families facing hunger, with a goal of donating 2 million meals to Feeding America and its network of food banks. Whether it’s labeled Red Gold, Redpack, Tuttorosso or Huy Fong, consumers can simply buy a can, and help feed a family. The philanthropic effort comes at a time when millions of American families struggle to put food on the table. According to recent data from the U.S. Department of Agriculture (USDA), 1 in 8 Americans face hunger, including 13 million children. However, most families don’t recognize the extent of hunger in America; a Red Gold survey found that nearly 7 in 10 households were either unsure of the number of Americans struggling with hunger, or they severely underestimated the problem. This is the second year of Red Gold’s national Crush Hunger effort. The inaugural campaign secured over 1.7 million meals for Feeding America and its network of food banks. This year, in honor of Red Gold’s 75th anniversary, the company is looking to generate its largest charitable donation yet: 2 million meals to Feeding America food banks. Red Gold research shows that a majority of parents use the family meal as a moment to teach, inspire and talk to their children about important issues like hunger, poverty, and giving back to others in need. In fact, more than 80 percent of parents said they would be willing to take the time to share a family meal, or use a new recipe or ingredient, if they knew it could help provide for families in need. To make it easy for families to share tasty meals together and help others in need, Red Gold has teamed up with celebrity chef, YouTube personality and host of the Cooking Channel’s “Simply Laura”, Laura Vitale. Vitale will lend her culinary expertise, tips and simple approach to cooking to help create easy, affordable meals to share with their families during October and beyond. 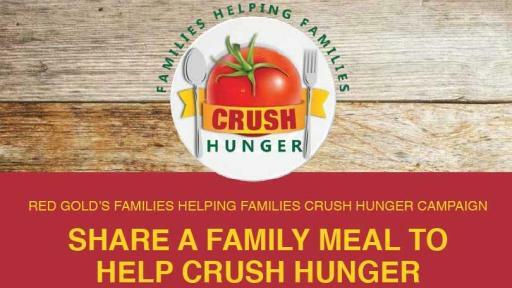 For recipes, family meal tips and more information about ways you can help crush hunger in your community, visit HelpCrushHunger.com. 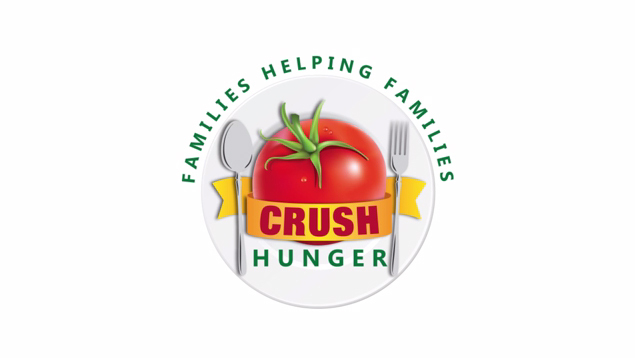 *$1 helps provide at least 10 meals secured by Feeding America on behalf of local member food banks. Red Gold guarantees a minimum of 2 million meals ($181,818.18) from 10/01/2017 – 10/31/2017. For four generations, the Reichart family has been producing Red Gold premium quality tomato products. Red Gold was founded on the idea of helping to supply food for the troops in 1942. Red Gold sustainably produces premium quality canned tomatoes, ketchup, and tomato-based products for the retail, foodservice, private brand, and club channels of distribution. Exceptional quality and operational excellence are the shared values that contributed to the employee-created mission statement: “To produce the freshest, best tasting tomato products in the world.” Visit www.RedGoldTomatoes.com for great recipes, tips and culinary inspiration!